Since 1979, in Oyama, Oita Province, Japan, the program “One Village One Product” (OVOP) has been sponsored by the Mayor of Oita - Professor Morihiko Hiramatsu. He first initiated the program with the objective of developing sustainable agricultural products, and to catch up with the whole country’s economic development. He was keen to create jobs and incomes for local people and to attract more young people to go back to work at their hometown. The three core principles of the program are: Using local resources for global integration; Independence and working creatively; and human resource development. By continuously producing added value, the products of the program are not only used for local and national consumption but are also able to meet international standards to compete with global products. The OVOP program concerns all stages of the production to consumption process. It encourages creative methods, including a study on product designs, materials, packaging; marketing, promotion, and how to impress customers. The provincial government has established intensive research centers to support farmers. They are trained professionally with comprehensive knowledge about the products and are able to apply new technology to production processes. Besides, they are enabled to develop business strategies themselves. Hence, the program has brought to the market branded products such as: Kabosu citrus, Bungo beef, Shiitake mushroom as a premium mushroom, wooden handicrafts from Yufuin town; oranges and dried fish in Yonouzu village; tea and bamboo in Natkatsu village etc. In the first 20 years (1979-1999), the program has made 329 products with annual revenue of 141 billion Japanese yen (1,1 billion USD). Outside of Japan the empirical experience from this program has now been applied to many other countries. There are about 40 countries which followed the Japanese OVOP and launched the program creatively. One of the successful stories is Thailand with One Tambon One Product, OCOP. The program, initiated by Thai Prime Minister Thaksin Sinnawatra, has run since 2000. All OTOP products are produced by local people, based on their knowledge and experiences. The Philippines and Taiwan developed their own program of One Town One Product; Malaysia has Satu Kampung Satu Produk program; Korea launched its own One Village One Brand; and Indonesia has its Return to Village program. Experiences from the Japanese OVOP have helped other countries to maximize their local resources, empower community unity, preserve and develop traditional villages, all of which have made great gains in agriculture and rural development. Since 2008, Vietnam Ministry of Agriculture and Rural Development has piloted the program of One Village One Product in some provinces. Following the success of the pilot program, many provinces and cities have actively applied the model to develop agriculture and local products. Especially, since 2013, Quang Ninh People’s committee has approved and implemented the program of Quang Ninh – One commune, One product (OCOP Program), the first province in the country to apply the model professionally from leaders committee, operation teams, to supporting policies, resources mobilization, implementation instruction. 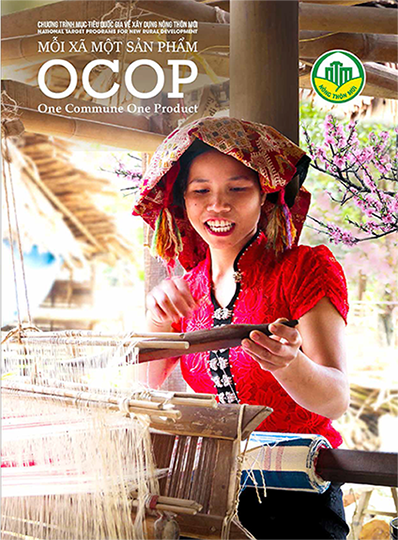 After 3 years of operation, the result has showed that the program of OCOP is a right and creative choice of Quang Ninh in developing products with value chain approach, in linking production units and products, to promote the strength and advantages ò the province and support farmers to integrate and approach market economy. 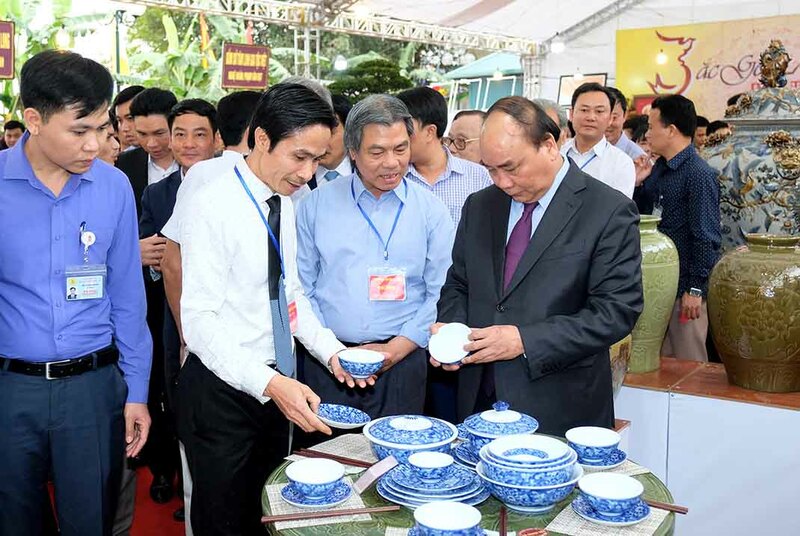 Following Quang Ninh story of success, since early 2017, the Prime Minister has instructed the Ministry of Agriculture and Rural Development to launch the One Community One Product Program. Currently, Vietnam has statistically 4.823 advantage products, in 06 categories, in which Food has 2.584 products; Beverage has 1.041 products; Herbal has 231 products; Textile has 186 products; Souvenir - Home Decor has 580 products, and Countryside tourism service has 201 products. They are products and services which have great potential to develop further to be national brands, contributing to the rural development process to boost local income sustainably. The government has set specific goals to 2020 and even further to 2030, about building OCOP administration systems stretching from the Centre to the local; providing training in business administration for government officials, enterprises, cooperatives, households; promulgating criteria documents for evaluation processes, products classification; standardizing products; applying advanced technology 4.0 into rural production and services; organizing Cultural and Tourist villages; developing a Product design and development center to encourage further promotion; and enhancing trade promotion programs.